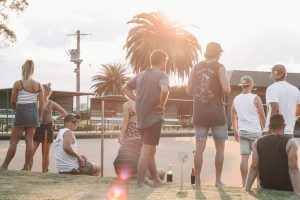 BAREFOOT BOWLS, BEERS & Pizzas! Whether it’s a get together, birthday, corporate event, hen’s party, Christmas Party or wedding, barefoot bowls is a great way to celebrate the occasion. Your Barefoot Bowls experience includes two hours of non-stop fun on the greens with an introduction to the game to ensure your guests enjoy the fun of bowling. Don’t go hungry while you play! 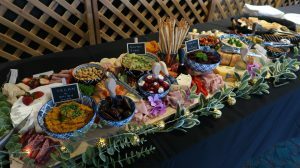 Why not have some pizza party platters or antipasto grazing boards delivered to the Bowling Green while you bowl, or you can have it served to you afterwards in our beer garden or function room overlooking the greens. $15 includes all equipment, rinks for a duration of 2 hours and briefing on how to bowl to get you started.